TIER 1, 2 and 3 REGISTRATION FOR DRIVING SCHOOL STUDENTS IS NOW CLOSED! ALL DRIVING SCHOOL STUDENT RUN GROUPS ARE SOLD OUT AND THE WAITING LISTS ARE FULL. IF THE SYSTEM TELLS YOU THAT YOU ARE WAITLISTED, PLEASE DO NOT SEND PAYMENT AT THIS TIME. The Lone Star, Tejas, and Houston Chapters of the BMWCCA proudly present the inaugural Texas Trifecta at the Formula 1 Circuit of the Americas track in Austin, TX. This High Performance Driving School will give you the opportunity to drive your car at speed and to experience the potential of the unique combination of car and driver. It is safe, demanding and most importantly FUN! All students will alternate between classroom sessions and time on the track with an instructor. The individualized instruction is a key to this program that has been developed over decades, and compares very favorably with commercial schools costing many times more. Our experienced instructors have come from racing, autocrossing and BMW CCA schools. NOTE: All Driver and Instructor registrants MUST be active BMWCCA members, and your member number will be verified by the National Office before your registration is complete. If your membership has lapsed, please visit www.bmwcca.org to renew BEFORE completing this event registration. Tier 1 Candidates must be pre-approved by one of the 3 sponsoring chapters as someone who has participated in local DE events within the past year. Registration is NOT complete until we have received yoour payment and it has cleared. Upon completion of the motorsportreg.com registration process you will receive an email from the Registrar confirming the receipt of your registration. This will start the 7 day period during which your check MUST be received by the Registrar in order to hold your place. During this 7 day window, the Registrar will confirm your Tier 1 eligibility with the event CDI. Upon receipt of your check, you will receive another email from the Registrar confirming your payment and reserving your spot. If your desired run group has filled up, the motorsportreg.com website will inform you of your waiting list status. If you are waitlisted, please do not send payment until the Registrar informs you of any additional spot availability. NOTE: Since all communication is via email, please double check your email address your membership profile in motorsportreg.com. If your email address isn’t correct, we can’t communicate with you! NOTE: If you select to compete in the Auto-x, you can NOT participate in the HPDE on that same day. Instructors and student classing / run groups: Students are assigned to one of three run groups (Novice, Intermediate, or Advanced) commensurate with their experience. Please select the run group that you feel most comfortable in, and be sure to update your driving history in the motorsportreg.com history file. The event CDI reserves the right to review your driving history and reassign run group based on his review of your history. Instructor supervision is required at all times while you are on the track. Helmet intercoms are used between the student and instructor to facilitate communication. PLEASE READ THIS ENTIRE DOCUMENT BEFORE YOU REGISTER. It contains valuable information about the school, registration, and the rules of the day. Forms mentioned in this text are immediately available via the links. Students must be 18 years of age or older with a valid driver's license - no exceptions. Convertibles (both soft and folding hardtop models), cars with removable tops, trucks, pickups, vans and SUVs other than the BMW X5, X3, X6, Lotus, and Corvette are not permitted at this Driving School. This is Not a Racing School: Our Driving School mission is to improve your driving skills while having fun. Our goal is to teach you safe driving skills and habits in a controlled situation. We hope what you learn will benefit you in your normal day-to-day driving, especially when confronted with emergency situations. We will emphasize the relationship of the driver and vehicle, how to make them function in unison, and give you the opportunity to learn your limitations and expand your capabilities. Our Instructors have a lot of driving experience to mentor students. Driving School Requirements: To maximize your track time and insure you get adequate instruction, the event is run on a tight schedule. Adherence to the schedule requires your cooperation and will allow us to get through the preliminaries quickly. Gates to the track will open at 6:00 AM, and registration begins at 6:15 AM. You must arrive in sufficient time to be unloaded, prepped and ready for the driver's meeting at 7:15 AM. You must stop at the gate to sign the waivers and check-in. All individuals entering the track property must sign the Release and Waiver of Liability, Assumption of Risk and Indemnity Agreement. You must read it carefully and understand what you are signing. We also recommend that you show and discuss the waiver with your spouse. Minors are allowed in the facility, but both parents or guardians must sign a Minor's Waiver Form on their behalf at the track. After signing the waivers, proceed immediately to the paddock area and unload everything from your car, glove compartment, storage bins and trunk. Please remove floor mats, loose change, radar detectors and everything that is not firmly attached. A properly secured spare tire may remain in the car if you choose. Be sure to arrive with a full tank of fuel. Bring plenty of water (1 gallon per person) or other hydrating drinks. Water is best! Also bring a folding chair, hat, sunscreen, appropriate clothes (including long cotton pants for when driving) and protection from the wind and weather. Be ready to attend the mandatory Driver's Meeting at 7:15 AM. This is the most important meeting of the day! Mandatory Vehicle Inspection: A technical inspection is required of all cars, and must be completed prior to the school. This is to check the condition of your vehicle, especially the parts that will be critical for an event like this. Tech inspection forms must be downloaded from the forms page. Most safety equipment will be checked: tires, brakes, brake fluid, battery hold-downs, seat belts and more. If there is any doubt about the condition of your equipment, have it replaced. New tires are not required or necessarily recommended. The inspection can be completed by your mechanic (expect a charge). DO NOT PUT THIS OFF! Be sure to give yourself time in case something is found that must be fixed. It is also strongly recommended that your vehicle have a new set of brake pads and rotors that are in good condition as this track is high speed and very demanding on brakes and brake systems. Helmets and Safety: Note: Snell 2005 and 2010 helmets only! Snell 2000 is no longer valid. Safety is our first priority. Students and instructors are required to wear a Snell 2005 (or newer) certified helmet while on the track. Both Snell motorcycle (M) and auto racing (SA) certifications are acceptable. Bring a helmet even if you have to borrow one. Cars, drivers and instructors judged to be operating in an unsafe manner will be removed from the track and no refunds will be given. No glass beverage containers are permitted at any time. No alcoholic beverages are permitted on the premises while cars are on the track. Students are not allowed to take passengers on the track at any time -- absolutely no exceptions. Only registered students and instructors are allowed to drive on the track. Medical Information: Please complete the medical information form that will be kept on file for the on-site medical personnel in case of an emergency. Please fold the form in half, tape/staple and write your name on the outside for quick access. These forms are for emergency use only, and are shredded after the event. Separately from this form, you are required to inform us of any condition that might impair your ability to perform the tasks expected of a student in this school, impede your ability to communicate with your instructor, or that would impair your ability to exit the vehicle in case of an incident. If you are pregnant, we require the approval of your physician and that your spouse also sign a waiver. Cancellation Details: Cancellations must be done by emailing the registrar. Cancellations received on or before the cancellation date (May 1st) will be charged $50.00 per driver. Our event policy is that there are absolutely NO refunds after May 1st. Waitlist: If you are one of the first on the waitlist, please have your car ready and teched ready to go. Assume you might get in! Liability & Insurance: STUDENTS ASSUME ALL RISK OF DAMAGE TO PERSONS AND PROPERTY DURING THE EVENT. This includes times when instructors are driving your car. Your auto insurance policy most likely does not provide any coverage for this event. While we have had a nearly flawless record of safety, this is a high speed event with inherent risks. Since you are assuming the risk, you should be satisfied with the manner in which your instructor drives your car. If, after discussing any apprehensions you may have with the instructor, you are still not satisfied, you are encouraged to contact the Chief Instructor or any event staff member to address the issue. Damages: The following section has been taken directly from the Circuit of the Americas contract regarding damages to the facility and is being included for your awareness. a. Asphalt. Lessee acknowledges that the asphalt surface applied at the Facility is of high quality and repairs thereto are very costly. Lessee agrees to so advise the Participants, and will monitor and control all activities which may result in damage to asphalt surfaces. Lessee will further take such reasonable steps as are necessary to protect and maintain these asphalt surfaces. Such steps may include requiring Participants: to place flat boards under jack stands in order to spread loads, especially during high temperature conditions; to refrain from driving pegs such as those retaining tents and awnings into asphalt surfaces; and ensuring prompt clean-up of all gas, oil, hydraulic, brake, and other fluids. Lessee will pay the Company an amount equal to $500.00 per square foot for all asphalt damage sustained during the Event, provided that such damage is caused by an act or omission by Lessee or a Participant, including fuel, oil, hydraulic and other fluid spills. Normal wear and tear is expressly excluded. b. Guard Rails. Lessee will pay the Company an amount equal to $25 per foot for any guardrail that is damaged during the Event. c. Tire Barriers. Lessee will pay the Company an amount equal to $25 per foot for all tire barriers that are damaged during the Event. d. Fencing. Lessee will pay the Company an amount equal to $15 per foot for all fencing that is damaged during the Event. e. Airfence. Lessee will pay the Company an amount of $1000 per square feet airfence module that is damaged during the Event. 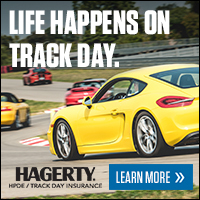 BMW CCA announces ON-TRACK INSURANCE COVERAGE!